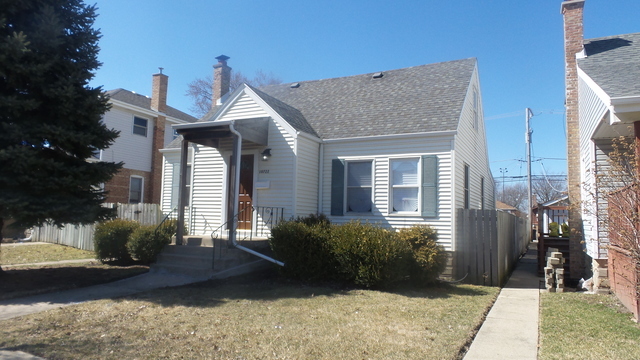 COME TAKE A LOOK AT THIS BEAUTIFUL CAPE COD IN MT GREENWOOD. ITS MORE THAN MEETS THE EYE WITH 4 BEDROOMS AND 3 FULL BATHS. THE BASEMENT IS FULLY FINISHED WITH A BEDROOM. FULL BATHROOM, FAMILY ROOM AND WET BAR. FANTASTIC SCHOOLS AND MANY LOCAL BUSINESSES WITHIN WALKING DISTANCE. THIS PROPERTY HAS A GOOD ROOF, NEW AC, OAK HARDWOOD FLOORING THROUGHOUT WITH OAK STAIRS GOING TO 2ND FLOOR AND BASEMENT. UPDATED BATHROOMS, NEW ELECTRICAL, NEW HOT WATER TANK, ALL APPLIANCES INCLUDED. NEW SUMP PUMP AND INJECTOR PUMP. MOVE IN READY. ENJOY THE WIDE LOT WITH A 2.5 CAR GARAGE AND CARPORT FOR EXTRA PARKING. EXTRA STORAGE IN THE REAR BASEMENT. NOTHING TO DO JUST MOVE IN AND ENJOY LIFE!!! DRAIN TILE IN WHOLE BASEMENT. BROKER OWNED.